The Colorado personal injury lawyer you choose will have a direct impact on the ultimate outcome of your personal injury case. It’s easy to see choosing the right lawyer is a very important decision. But you may first want to know if you should get a personal injury lawyer at all. We’ve compiled for you here several ways that you can find a personal injury attorney in your area and then ways that you can narrow down potential candidates to the one you actually want to hire. Should I get a personal injury lawyer? 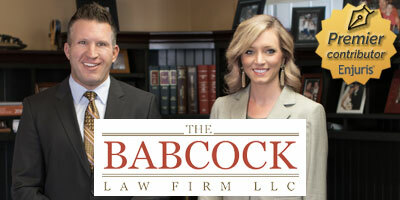 You might still be wondering if you need a lawyer or not. Talking to a few attorneys should help you decide if you should get a personal injury lawyer, but it will be helpful if you go into it with a basic understanding what makes your accident case viable. See Do I Have a Case? and When Do I NOT Need a Lawyer? The first step is to get a pool of potential personal injury attorneys who can represent you. Ask another attorney - If you have used an attorney for another matter, such as for help with your business or a divorce, ask this attorney for recommendations. If your previous lawyer is someone whose judgment you trust, you can rely on his or her personal experience and opinion about lawyers in other subject matters. Ask family, friends or acquaintances - Ask for a personal referral from someone else you trust, such as a family member, friend or colleague. Even if he or she did not deal directly with a personal injury attorney, he or she may know of someone else who had a positive experience with the lawyer. Check professional ratings - Various organizations include ratings of lawyers based on their experience and outcome of their cases. Always take these with a grain of salt – you’ll see why when you read the comments in this article comparing 4 of the largest online ratings systems! Check out lawyers for Colorado on social media sites like Facebook, Twitter, and Google Plus (reviews may also be available on these sites). Search independent directories – many “find a lawyer” sites will likely show up in your Google searches for Colorado. Just know they may require some initial input of information about your type of case, zip code, and so on. See how FindLaw gets you into results pretty quickly. FindLaw makes it a bit easier, returning a list of attorneys as soon as you enter your type of accident and city in Colorado. At first on their map, though, it only looks like they have one! Check out the Enjuris Colorado lawyers directory, too. The idea at this stage is just to gather a list of Colorado attorneys who look promising to you. You should have 3-5 you can plan to speak with directly to further evaluate. Enjuris tip: We encourage you to check out our directory listings, including our featured attorney, who is making this content possible. From there, you can also view more. One click gets you to our personal injury law firms listed for Colorado. In addition to these measures, make sure that you check the professional standing of the attorney with the licensing board. This can help you learn about any potential issues based on past conduct and complaints from previous clients. See the Colorado Supreme Court’s Office of Attorney Regulation Counsel for this information. After you have found the lawyers available in your area, start to pare down the list based on the availability of the lawyer, level of experience, fee arrangement or any other factors that specifically affect your case. Once you have a short list of five or fewer attorneys, you can start to set up initial consultations with the remaining candidates. Enjuris tip: See more about negotiating fees with an attorney. “No win no fee” sounds great, but beware of exceptions and terms in your agreement! During your consultation and up to this point, consider the following factors. Perhaps the most important factor to consider when selecting a personal injury attorney is experience. It is important that the personal injury attorney has experience with personal injury cases specifically. Experienced attorneys may have experience working with particular insurance adjusters. They may have developed a reputation as lawyers who are not afraid to go to trial when necessary. If the case involves something outside of the typical Colorado car accident claim, it is important to have a lawyer who has worked a case involving similar issues. For example, if the case involves a slip and fall injury, the lawyer should have experience handling this type of claim. Likewise, if the case involves a commercial truck accident in Colorado, serious medical injury or medical malpractice, the personal injury lawyer selected should have prior experience regarding the particular issue. You also want to be sure that the lawyer has had success with personal injury claims. Ask about how many cases the lawyer has won and how many he or she has lost. Break down the wins into whether the case was settled or won at trial. You may even want to ask to talk to former clients to learn about their experience with the lawyer. However, also look out for any lawyers that guarantee results. Every single legal case is different from the last one. A lawyer should not guarantee results. While he or she may advertise previous successes, he or she should not throw out large numbers in an attempt to make you think that you will automatically receive a similar result. The potential compensation you may receive is based on the specific facts of your case and the damages that you sustained. Another important factor to consider is whether the personal injury lawyer will provide you with the personal attention that you deserve. There are several indications of this. For example, if you call into the office, you can see whether you will be able to talk to the lawyer directly or if you will be passed off to office staff. At the initial consultation, if you feel rushed or spend most of your time reviewing your case with a paralegal or junior associate, you may expect the same thing if you hire the lawyer. Additionally, if you are made to wait for a long time before you even see the attorney, there may be time management issues that may later negatively affect your case. You may be working very closely with the personal injury attorney and his or her office staff. It is important that you feel comfortable with him or her. You will get a better feeling of this criterion when you meet the lawyer for the first time. A good attorney will be able to present a professional demeanor and presence while still seeming approachable to his or her own clients. At the same time, the office staff should also be courteous and professional. Another very important consideration is whether the personal injury attorney is someone whose opinion you ultimately trust. This is largely what you are paying for. When there are decisions to make in your case, you want to be able to trust the lawyer's judgment and advice so that you can make informed decision. When you meet your attorney for the first time, you may get a gut feeling about him or her. Ultimately, you want to have confidence in this individual. See our guide: Preparing to Meet with a Personal Injury Attorney. It includes a checklist of items to bring and also questions to be prepared to answer about your case. Bring whatever documents you have concerning your case. Be sure to ask about the lawyer's background and about the particular issues involved in your case. You should have a clear understanding of the strengths and weaknesses of your case when you leave the lawyer. You should also ask about the likelihood of settling the case or going to trial. After you leave the consultation with a lawyer whom you are considering hiring, you should feel confident in your decision. Why might a lawyer decline my case?